Safe, secure and affordable, no not Marks & Spencer’s underwear, it’s our Bristol storage sites. Forget wasting time hunting around the rest of Avon or whatever they call it now, UK Storage has the best self storage in Bristol. We do like to blow our own trumpet but we believe we have good cause - people just like you have been using us to store their favourite possessions for years. We’ve designed our facilities so that the decision to store with us is a no brainer. 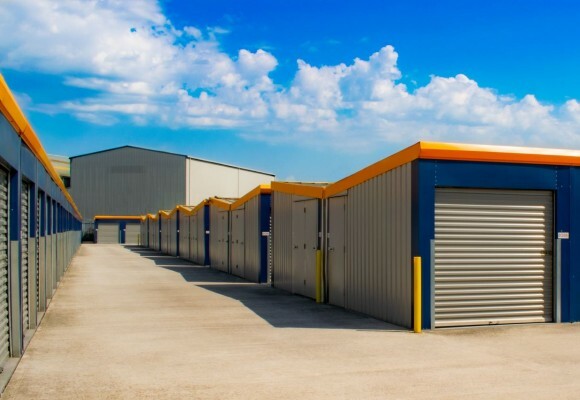 Modern self storage units that are easily accessible and cheaper than other Bristol storage companies, what more could you ask for? Security? Well, if you fancy being on TV we’ve got just the job, we have cameras throughout the site and it’s even recorded so we can watch your best You’ve Been Framed moments at our Christmas party. Now be honest, are you the person who suddenly realises they’ve left their Sunday best in storage five minutes before you need it? Don’t worry we even have that covered. 24 hour access is available at our west Bristol for the same price of a pint of beer a week and extended access is available at our central Bristol storage site. We can’t say fairer than that can we? And currently you can have it FREE for your first 4 weeks! Document storage, or archive storage for people who like to sound like librarians, is where we store boxes in a separate locked away area that only our staff can access. Think the end of Indiana Jones with all those boxes locked away and you get the idea. Instead of charging by the foot we charge by the box and we track it all on a database so we can locate your box in a second - we’d be great on Deal or No Deal. With document storage you only pay for the storage space you use, it really is the most cost effective way to archive documents in long term storage. This isn’t the only kind of Bristol business storage we offer. Many businesses use us to store their stock and literature as they have the option to use the site out side of normal office hours and can have direct access to their room meaning unloading and loading is quick and easy. All making our storage prices value for money. Motorbike Storage is also available, with the option to store for short or long periods. Some people store their bikes while they are away on holiday, others store them with us permanently, taking them out for rides and then returning them when they’re done. With the 24/7 access and extended access options you can pick up your motorbike whenever is convenient to you. 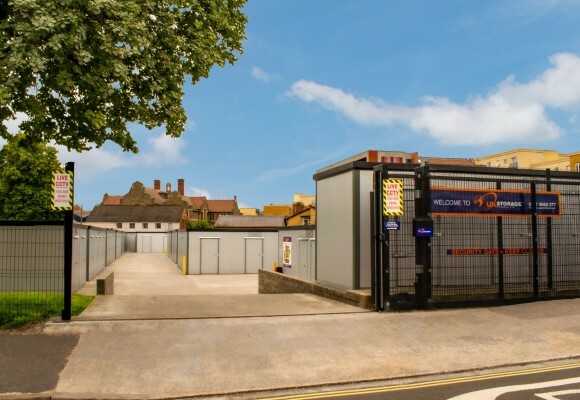 If you’re based in the South West and you’re looking for a facility to store your treasured possessions or important items, then you need look no further than ourselves, because when it comes to self storage Bristol, we really do have everything covered. It really doesn’t matter to us how much or little you have to store, because at the end of the day we pride ourselves on the fact that we’re more than capable of accommodating the needs of everyone! By all means feel free to compare alternative Bristol storage prices, but we’re supremely confident you’ll find us unbeatable. For those who think the cost of storage in Bristol is over the top, they’ve obviously never checked out the stunning deals that we have to offer! Regardless of whether you’re looking for somewhere to store a house full of furniture or you’re looking for Bristol student storage, we’re of the opinion that our facilities are out there on their own and if you don’t believe us, why not come and take a look at what we have to offer. When it comes to self storage Avonmouth and Bedminster, we’ve certainly got what it takes to keep things safe and secure. Call UK Storage Bristol now. Our self storage facility in central Bristol is located just one mile from Temple Meads and just south of Bristol city centre. Set in Bedminster the site offers easy access to your storage. The facility has various sized rooms available with a variety of residential users storing with us. We know everything doesn’t always go to plan when you’re moving and many of our customers just need a place to store while they are in between houses. We offer a flexible option, with a mimimum term of just 14 days and just 14 days notice required when you want to move out. Some people store their whole house contents others just store what they can’t fit in to their temporary accommodation. Decluttering is a phrase made popular by the house themed TV programmes. Essentially it just makes sense to make your home as free of clutter when you are trying to rent or sell your property. We have many different sized rooms from small, phone box sized rooms up to large rooms capable of storing many large items of furniture. All available short or long-term. Being close to the city centre we have a lot of enquiries from students, some storing just boxes or bags over summer, others storing whole room or even house contents as the go abroad on gap years. Some store with their friends to reduce the cost and getting your goods to us is easy as we're so close to the centre. Some students even take a taxi and just put their items in the taxi instead of hiring a man and van. All our storage rooms are ground floor and you can park right outside many with others only a short distance from your car. So there's no lugging items from a car park to a lift or up stairs. Whatever you’re looking to store we will have a room size for you and pricing that will make you as happy as our location. Enquire now. Located right at the heart of Bristol with easy access to the city centre and close to the train station. Storing stock, goods and promotional material close to your customer or where you're based can save time and money. Security of your goods is paramount to us, there is recorded CCTV throughout the site, a two metre high perimeter fence and a security entrance gate that is always locked – you gain access with your own unique gate code. The lock to your room is a cylinder/barrel lock, unlike a padlock these locks slide in to the door so there isn't anything external to be cut. These locks are unpickable - you hold the only keys. Added security right at your door. When storing stock or taking on a project sometimes you just need storage space without a long term commitment. With our business storage you can increase or decrease the space you use without notice or penalty. As the name self storage suggests you can come and go as you please during our office hours or for a small charge you can have extended access – currently free for the first 4 weeks. This can be important if you've got a job that starts early or ends late and of course if you're unlucky enough to work on a Sunday it gives you than added security that you can get to your items when you need them. Storage can be from as little as 14 days and you can store for as long as you want, we just require fourteen days notice when you come to move out. As you only pay for the days you use you don't have to time moving out with your payments. All our rooms are on the ground floor, often a benefit that is over looked but the time saved by this benefit can mean real monetary benefits to businesses. Being able to park close to your room reduces loading and unloading times, speeds up your turnaround in between jobs or just means you can start later or finish earlier - always a benefit no matter what your line of work is! Should you require the storage of files why not consider our document storage. Document storage is a professional way of tracking individual boxes, making retrieving files quicker and easier. Our storage in West Bristol is very straight forward. You rent a storage unit from us and you can store from as little as ten days. After that it's just down to you to give us ten days notice when you want to move out, you can stay as long as you want. You purchase your own lock from us - a high security, unpickable lock, that is yours to keep when you leave. We don't have access to your storage so you hold the only keys. You can come and go as you please during our offices hours without any access charges or alternatively if you need access on a Sunday or extended hours during the week we have a 24 hour access option - currently FREE for the first four weeks. The self storage facility has monitored CCTV throughout the site and there is a large perimeter fence. The gates are kept locked at all times and are accessed using your own unique key code. Trust us, we take the security of your goods very seriously. With your storage unit you can drive straight to your door so there are no corridors or lifts to negotiate as all rooms are ground floor. Our 24 hour access option also allows you to move in anytime you want, this includes Sundays and bank holidays. We can arrange payment and paperwork before you move in - you don't even need to visit site to do this. Call us for more information on this - it's really easy to do. UK Storage Bristol West allows you easy access to The Portway and the M5. Call our Avonmouth self storage staff now to get your price. Our West Bristol site is conveniently situated right next to the M5 at junction 18 in Avonmouth, giving great access to the M5 and The Portway. With access to your storage available 24 hours a day it makes for a great base for Bristol and the South West. All the storage units are ground floor so you can drive to the door of the majority and within a matter of feet of the remainder. Security of your goods is paramount to us, there is recorded CCTV throughout the site, a high perimeter fence and the entrance gate is always locked – you gain access with your own unique gate code. When storing stock or taking on a project sometimes you just need storage space without a long term commitment. With our business storage you can increase or decrease the space you use without notice or penalty. As the name self storage suggests you can come and go as you please during our office hours or for a small charge you can have access 24 hours a day – currently free for the first 4 weeks. Storage can be from as little as 14 days and you can store for as long as you want, we just require ten days notice when you come to move out. Should you require the storage of files why not consider our document storage. Our Bristol storage site is seeing enquiries flood in from all over the South West, it seems people are prepared to travel if the cost of storage is right. We have customers storing from Chepstow, Yate, Portishead, Clevedon, Nailsea and closer to home, Westbury-on-Trym, Lawrence Weston and Shirehampton. Clearly our convenient location in Avonmouth suits a lot of people, being close to the M5 and at the end of The Portway. We even have customers who commute to Bristol using the airport and need a base for their possessions - so we even have customers from Scotland using our storage. If you want to know where to find us or any other information visit our self storage in Bristol page. UK Storage are pleased to announce that our storage site in West Bristol is doing well. After a lot of hardwork the west Bristol site opened in November 2010 and it is already proving popular. The storage units which have proved so popular at our other sites are filling up well and we`ve had a mix of enquiries from tradespeople looking for somewhere to store their tools and materials, to house movers looking for short term storage. No matter who the customer is we are aiming to drive down the cost of storage in Bristol. The site is based in Avonmouth and if you`re looking to store some items get in touch, we`ll be proud to give you a tour. Our prices are competitive, we always try to have the lowest price, and we have over 7 years experience in self storage which we are now bringing to Bristol. To find our Bristol West site, we are just opposite the Proton garage in Avonmouth, a few doors up from Speedy Hire. Be sure to take the slip road just by Speedy as you come off the roundabout and you will easily see our signs!